We extend a warm welcome to you to experience CLI's Power Coaching expertise. 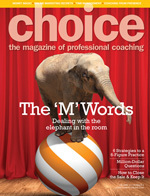 Choose a Coach from our directory of certified Power Coaches. Ensure that your Power Coach is a properly trained CLI Power Coach. If they are not listed in this section please contact us to confirm their training credentials. PCMK� or Power Coaching� is "all about the client". Power Coaches put their egos in the back garden in order to be of the greatest service to you with respect to assisting you in the development of solutions to your own challenges and goals. The "Power" in Power Coaching is truly about coaching you to use your own "internal power" - the highest creative centres in the brain. And, of course, if you also wish to be mentored, your Power Coach� can undoubtedly provide you with an array of ideas. Our Clients tell us that Power Coaches are The Masters of changing unconstructive habits and behaviours into positive ones (at home and the office) faster and more effectively than anyone they know. Achieve Your Dreams and Goals: We all get stuck. Even coaches need a coach! Identify your dreams and goals and watch them come true. Build Stronger Relationships: Watch your relationships flourish. And feel greater peace when the unconstructive relationships leave your life. Solve Difficult Problems: It can be tough to solve difficult problems on our own. Whether they are business or personal problems, your Power Coach will assist you in finding the solutions. Life Purpose: You will know for sure the path you were meant to take in life. This alone will bring more meaning and purpose into your life. Removal of your largest mental block in life: Remove the largest mental block to your personal and/or professional success! Permanent Positive Change: You will experience permanent positive change for any given issue in your life. We guarantee it. Bilateral Thinking: You will think faster and more effectively by becoming more of a bilateral thinker - someone who can switch easily between left and right hemispheres. Think like an Einstein: CLI's Clients over the years have proven to themselves that they too can think like a genius. We provide the tools for you to do so. Live the Values of Humanity: You will better live the values of humanity such as greater faith in self and others, greater courage, commitment and compassion and so on. Fast Results: Our Clients tell us that our award-winning tools give the fastest results in the coaching industry. We don't waste your valuable time. APC or Associate Power Coach designation. Exceeds 100 hours of coach specific training, coaching, mentoring and examinations before achieving this designation. CPC or Certified Power Coach� designation. Over 300 intense hours of training, coaching, mentoring and examinations before certification as a CPC. SCPC or Senior Certified Power Coach designation. Greater than 400 hours of training, coaching, mentoring and examinations before achieving this Senior Certified Power Coach designation. PPC or PCPC or Professional Certified Power Coach� designation. An accumulation of more than 600 hours of training, coaching and mentoring before certification as a PPC or PCPC. GPC or Group Power Coach� designation. Power Coaches who have achieved their CPC may advance to become certified in the skill of Group Power Coaching�. CCPT or Certified Corporate Prosperity Trainer. CPC graduates may advance to become certified in the delivery of CLI's Big Eight Corporate Programs. CPPT or Certified Personal Prosperity Trainer. CPC graduates may certify in the delivery of CLI's Personal Prosperity Programs which include Creating a Happy Marriage, Prosperity in all areas of Life and Building more Loving Families. You may Choose a CLI Power Coach from our list of certified Power Coaches or you can simply click on Book a Power Coach Now and we'll suggest several Power Coaches for you to inerview. We also welcome your calls at 1-866-254-4357 or 1 (250) 652-5390. Good luck! Moreover - have fun!